The initiation of MasterSystem Technologies was incentivised by the mass abuse of fleets and assets in Papua New Guinea. Lack of Technology and proper infrastructure saw companies lose millions each year from vehicle repairs, fuel theft, lost time, improper utilisation of fleets and missing cargos. Companies had no knowledge of how their assets were used, if company policies were observed and most importantly if the end result was achieved. Lack of control and management over assets paved a path for misuse and mismanagement, resulting in significant losses made by companies. MasterSystem Technologies wanted to give that control back to companies and their management, and not only eliminate the problem but furthermore, enhance and add value to the company. As we developed and implemented a system to solve this problem, we discovered more problems that needed to be addressed. As more issues developed, our solutions grew to cater for them. MasterSystem Technologies is the difference between knowing and guessing, and this is the main concept behind all the solutions that we offer. We believe in creating technological solutions that are engineered for excellence and would continue to give back to companies in order to optimise success, offer effectiveness and efficiency and most importantly add value to your company. MST provides Telematics Intelligent Solutions for the public and private sectors by exploring Global Technologies for Local Solutions. MST has focused on a global range of technologies, packaged into locally installed and supported solutions in the various sectors. Our focus has been on identifying the needs of all sectors in the local markets with a view to sourcing “global”, market tested solutions by which to customize and implement solutions suited to PNG. We pride ourselves with the ability to take a problem and piecing together an effective and reliable solution. The drive to provide solutions in PNG has pushed us to new heights in terms of technological advancements. Our solutions are not fixed but customisable and integrated to counter specific needs. Our Research and Development team are always looking for ways to effectively develop and better our system. Our range of Telematics intelligent solutions are engineered for excellence in all aspects, offering a holistic, interactive system that is flexible and adaptable to change and development. We thrive with new challenges and our satisfaction comes from building state of the art, advanced technological solutions. 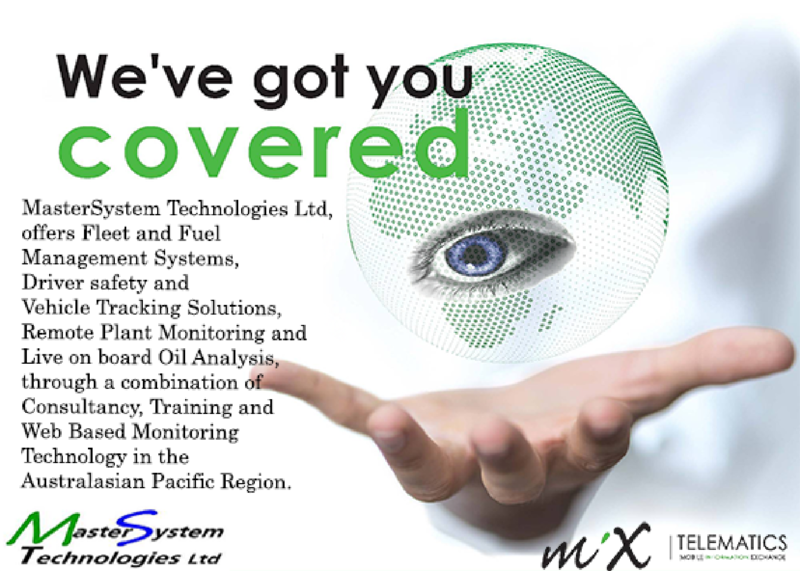 MasterSystem Technologies (MST) is a PNG owned and based company established as a provider of Technology Solutions to the Fleet, Transport and Petroleum industries since 2010. The focus is on bringing tried and tested technology systems into the local market with the emphasis on local support in terms of full system backup and support including development of local skills for sustained support. MST is based in Lae and its other branch is in Port Moresby. MST has a highly committed staff base of over 85 people comprising 90% PNG national employees across disciplines of management, human resources, information technology, administration, technical, training, customer liaison and fleet controllers. MST has focused on a technology platform (Mix Telematics) which has been developed, tried and tested in extreme conditions as well as having wide flexibility. The FleetMaster (FM) technology has a long established international market platform including a strong base in Australia, Asia and Africa. The MST management structure is based on over 20 years of management experience in PNG coupled with experience globally in fuel & lubricant management; fleet monitoring and tracking systems spanning some 15 years in the African, Asian and Australasian regions. The establishment of MST in Papua New Guinea is providing a local entity with a long term business outlook focused on the establishment of permanent infrastructure for the growing regional market in PNG for fuel and fleet technology. HOW WE WILL DELIVER IT?